Lev Grossman was born in 1969 and grew up in Lexington, MA. His first novel, Warp, was published in 1997. His second, Codex, came out in 2004 and became an international bestseller. 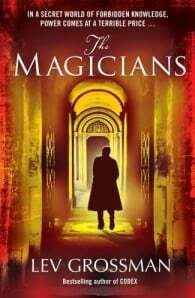 The Magicians was published in 2009 and was a New York Times bestseller and one of the New Yorker‘s best books of the year. The sequel, The Magician King, came out in 2011 and was a Times bestseller as well. The third and last Magicians book, The Magician’s Land, was published in 2014 and debuted at #1 on the bestseller list. Since 2002, Lev has been the book critic at Time magazine. He has won several awards for journalism, including a Deadline award in 2006. He lives in Brooklyn with his wife, two daughters and one son, in a creaky old house.